Maybe the bird just didn’t like his LeBron takes. 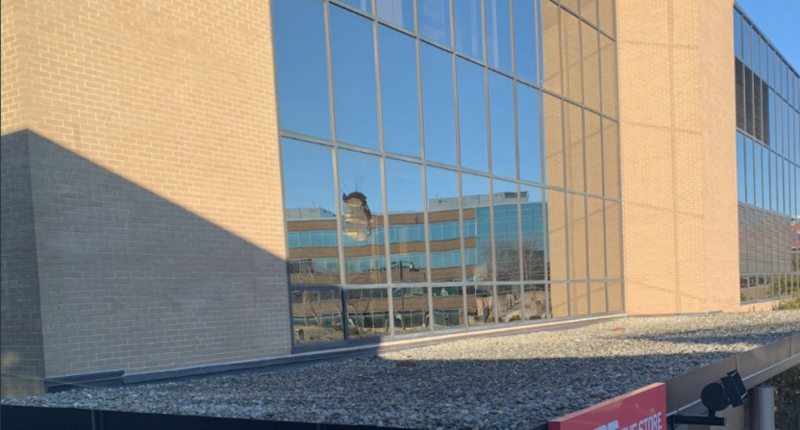 On Tuesday, ESPN employees have were buzzing on Twitter about turkey vulture (or buzzard) that crashed into the window of Stephen A. Smith’s ESPN office in Bristol. The bird broke a large hole into the window of the office building. It’s not exactly a surprise that a bird crashed into a weekend, but it’s not that common for a bird as big as a turkey vulture to break through like Stone Cold Steve Austin. Amazingly, according to Trey Wingo, the bird is still alive. The incident has spawned plenty of jokes from those in Bristol and across the Twitterverse. The turkey vulture is out for the year, so (4 months from now) expect Stephen A to talk about how he likes what the vulture has been doing all year. Stephen A. responded that he wasn’t in the office, or in Bristol itself (sorry for those wanting video of his reaction), but said that he hopes the animal isn’t hurt and doesn’t get hurt trying to escape. Yes, Stephen A. called it a “turkey” when it’s a turkey vulture, and they are clearly different animals, but I’ll let this one slide. That’s a more reasonable and common mistake, especially when compared to thinking a punter started an NFL game at quarterback or leaving Drew Brees off a list of best NFL playoff QBs.